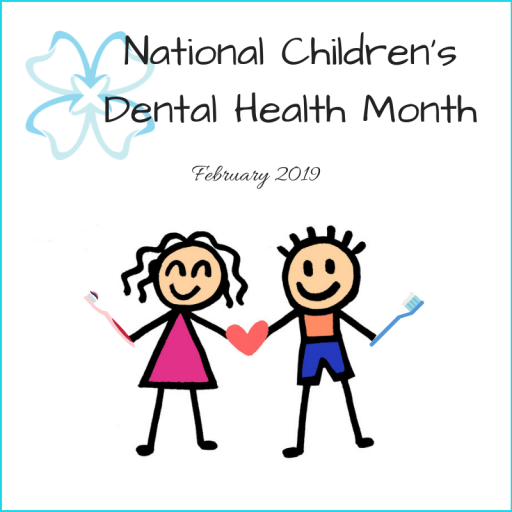 It’s February, which means it’s National Children’s Dental Health Month. Designed to teach children and their parents about the benefits of excellent dental health care starting at a young age, dentists around the country spend this month teaching kids about brushing their teeth, flossing, and more! If you’re interested in teaching good habits for oral health in your household, this month is the perfect opportunity. After all, tooth decay is the most common chronic disease that affects children. Don’t worry, though; there’s good news: proper oral hygiene can prevent dental decay and promote healthy teeth for years to come. Here’s what kids and their families need to know about proper dental care, starting this month. Brush and Floss Regularly. Brushing and flossing are both critical to oral health, and you’re the best model your children have. Brush and floss your teeth on a regular basis, and teach children to start using toothpaste as soon as they’re old enough not to swallow it. You can purchase non-fluoride toothpaste with a fun color, which teaches children to brush completely and regularly. When the teeth begin to touch one another, teach your kids to floss between them once daily. Get Your Child a Special Brush. Children are more likely to learn good dental hygiene if it’s fun. With this in mind, purchase your child a special toothbrush. For best results, get one that fits small hands and features a color or characters your child likes. Teach Proper Brushing Time. According to The American Dental Association, brushing for two minutes is optimal. Teach your child how to brush for two minutes with a two-minute sand timer. Let your child start and end the timer to make brushing more fun. Reward Good Dental Habits. Teach children that hard work pays off when it comes to dental care. Consider giving gold stars for kids who brush twice a day, floss, or have cavity-free dental visits. Read Books and Watch Videos. Go to the local library and pick out some books on dental care and good oral health. This is a great way to teach children about taking care of their teeth. After all, learning dental care is much easier when it’s a relatable process. Make Regular Dental Appointments. Making dental check-ups a regular affair is an excellent way to promote good dental health. Visit the dentist every six months to ensure healthy, happy mouths for your kids. If the appointment goes well, surprise your child with a special treat, like a visit to the park or beach. For kids, flossing, brushing teeth, and getting regular dental check-ups are all the building blocks of a lifetime of great dental health. If you’re looking for ways to start teaching good habits, the five tips above are all excellent places to start. By investing a little time and attention now, you can promote great dental health care that lasts a lifetime. Need some additional help keeping your child’s mouth healthy? Contact us to learn more about gentle dentistry and dental health care for kids. Orange Beach Family Dentistry specializes in childhood dental care, and we’re here to help your whole family stay mouth healthy.